Gul Ahmed Embroidered Lawn 2013 for women was revealed just now. A preview of Gul Ahmed summer lawn collection 2013 was given yesterday. Gul Ahmed embroidered lawn collection 2013 has consists of long shirts with trousers and churidar pajamas. Each and every dress of this collection has fully embellished of little bit embroidery has make these dresses beautiful and elegant. 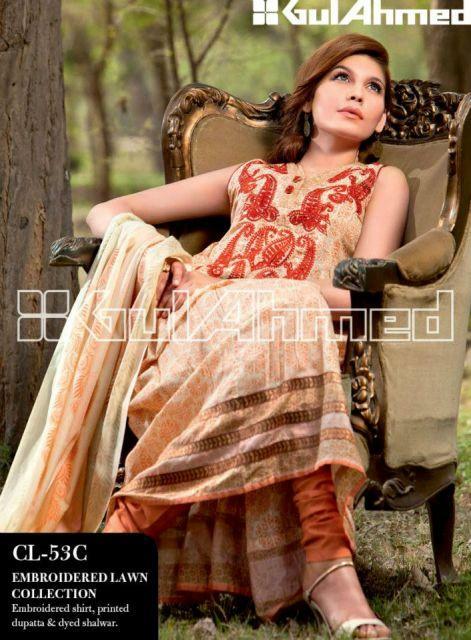 Gul Ahmed Original Lawn 2013 available at all Ideas and Gul Ahmed Exclusive Stores.